Discussion in 'Technical Archives' started by Jorgen, Jul 1, 2014. I just tried again in unstable 769 and this time a track that loaded fine in unstable 767 won't load anymore. The loading bar goes all the way to 100% and after a while it is as if rF2 goes into a tight loop where lots of system calls are executed since the "System" process in the task manager jumps to around 10% and all other applications start to run very slow and sluggish. I have run the sysinternals process monitor (http://technet.microsoft.com/en-us/sysinternals/bb896645) during the track loading, and the last things that happen before the loading halts are that rF2 writes to a temporary file in the Replays folder, after which it reads from arialbd.ttf and then everything stops. In case you wonder, the final CloseFile events are from right after I killed the process from the task manager, about two minutes after loading reached the 100% stage. If loading succeeds, it usually never takes more than a few seconds at that point. I would really like to figure out if it's an issue with the tracks or if it's an issue with the unstable release, because all of these tracks load fine in build 660. Any help is much appreciated. This is getting bizarre... After successfully loading ISI Malaysia 1.42 and restarting the game, the track that did not load earlier actually does load. (!) 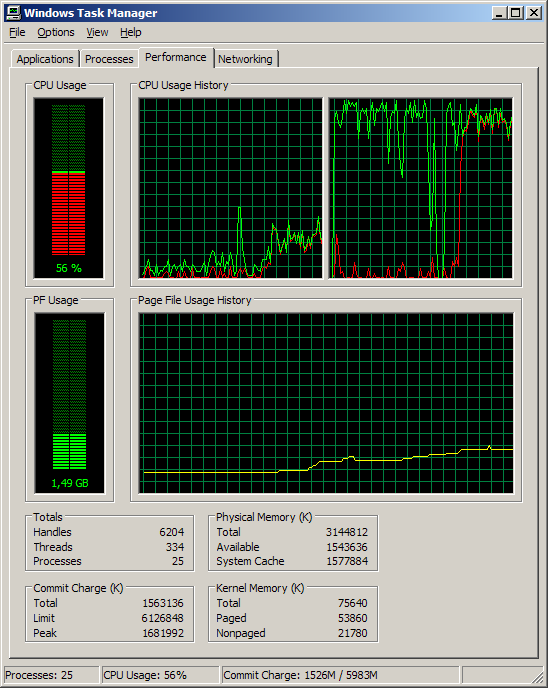 The task manager shows that almost all consumed CPU time is spent in the OS kernel once the loading bar has reached 100%. The tracks that do not load have .cbash files which are more than twice as large as the tracks that do load. Not sure if it's related, but anyway. What's a .cbash file by the way? I just observed the track loading in build 660, and it's a LOT less time spent in the OS kernel with that build. Almost all time is spent in user mode, except for a short 100% burst after the loading bar reaches the end, after which it drops to around 20%. Going to give it a shot with the latest 770 stable too, but considering the short time period between 769 and 770 I guess very little was done between those builds. Can this be an effect of the combined 32- and 64-bit builds and compiler settings that do not play well on a 32-bit OS? Everything is extremely sluggish once this happens, even the mouse cursor movement is jerky. One last post, same problems on build 770 as on 769. I will definitely need help from a developer to solve this mystery. You only are running the 32bit build, right? the XP kernel is not supported at all. Just reply to that, in the meantime I will alert Jeremy. What track is causing the problem? It's a set of conversions I originally did for our F1 league back in 2012. The league is now defunct but I keep the tracks for personal use only due to the nature of the rFactor1 tracks they were made from. Given that, if you do have some time to test, I can upload one of those that give me problems to my web space and PM you a link. Does that sound OK? Faulting application rfactor2.exe, version 1.7.7.2, faulting module rfactor2.exe, version 1.7.7.2, fault address 0x000551af. I will do some timing between b660 and b772 for comparison. I'd love to know what the 7xx builds are doing after the loading bar reaches 100% on this particular track. Sorry, I forgot to reply to this one. Yes, I am running the 32-bit executable. If you can pm me a link to your track we can possibly try to see what the problem is. Thanks for the offer Jeremy, I really appreciate it! Will upload and PM you a link shortly. Fixed sun block bug which caused inconsistent occluder values. Fixed a bug where HUD textures refuse to load. I doubt it's one of those, right? 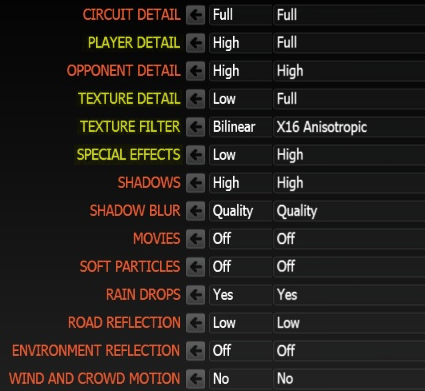 Has there been any substantial shader changes between 660 and the 770 stable/7xx unstables? not really. a couple of us have loaded your track in the viewer and in-game, and aside from the fact that it has an astounding 5500 meshes, it loaded and ran fine for us. As soon as I try to up one of them by only one click, the loading starts to bog down the whole machine. I will install Windows 7 fairly soon, but it would be nice to be able to tick this off as an XP related issue, if we can prove that it is. I have now installed Windows 7 Professional 64-bit, so I will re-test this once I have rF2 installed. Will report back later. I can now confirm that the track loading issues I had were purely XP related. On Win7 Professional 64 bit, it takes almost zero time to enter the session once the loading bar reaches 100%. (using the 64 bit executables and with even higher graphics settings than I ever tried before) Time to drop XP support real soon!